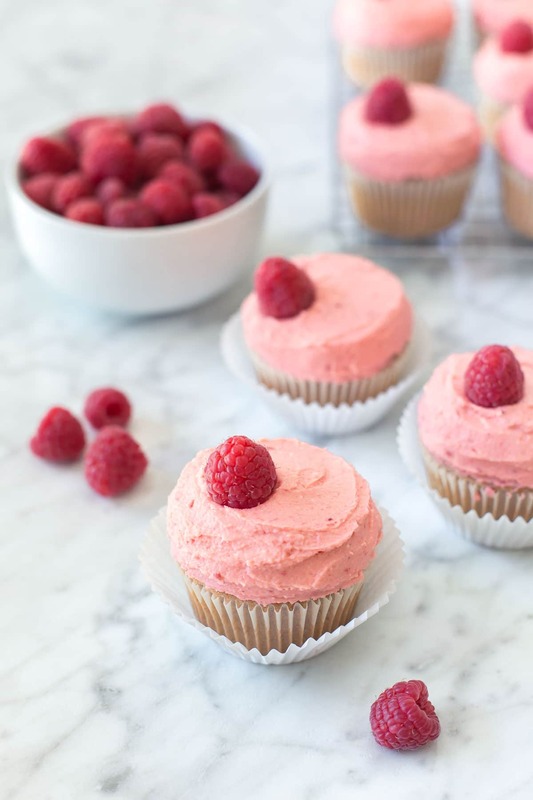 These dairy free raspberry cupcakes are sweet and refreshing with dense and creamy frosting. Naturally colored and made with non-hydrogenated shortening, they’ll leave you feel a little less guilty about this indulgent treat. Makes 1 dozen cupcakes. A few weeks ago, I thawed out a bag of frozen raspberries, and by the time they were thawed, I completely forgot why I had done it. Mom brain. 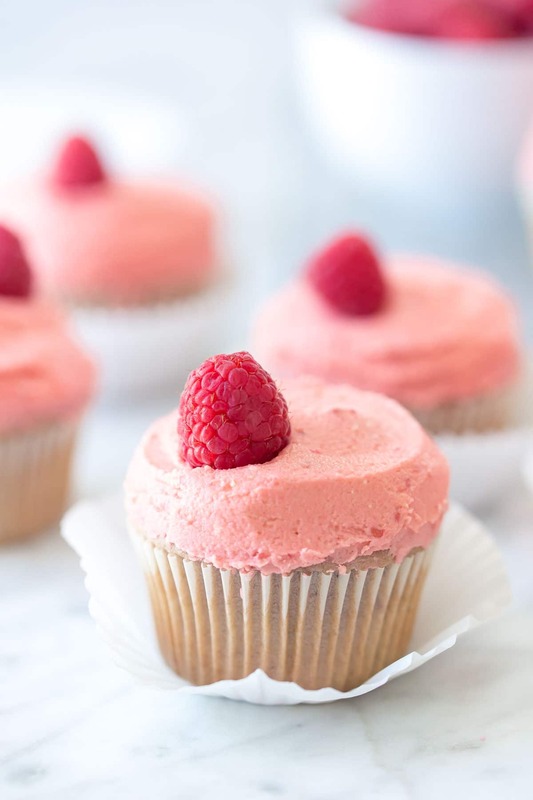 To save them, I tossed them in the food processor and made raspberry puree, which I knew would be perfect for making my favorite strawberry cupcakes, except, they’d be raspberry this time. I’ve been making these cupcakes ever since I started cooking and baking on my own – back when cupcakes were all the rage. I even bought a cupcake cookbook that I though was the coolest thing in the world. I still have it today. 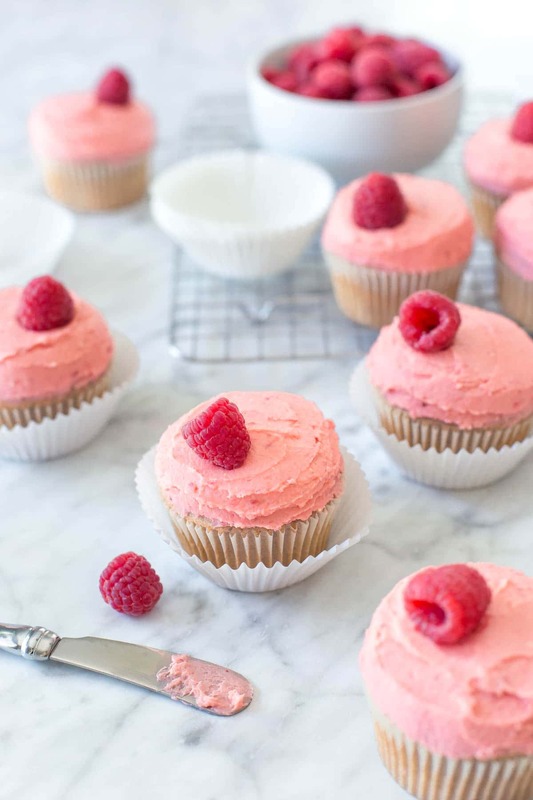 But, these cupcakes were made with butter and milk, and so I put the recipe at the back of my recipe box and forgot all about it until I was forced to do something with those frozen raspberries. 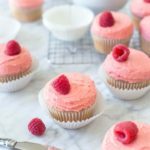 I took this as a challenge, and determined to make them raspberry and dairy free. 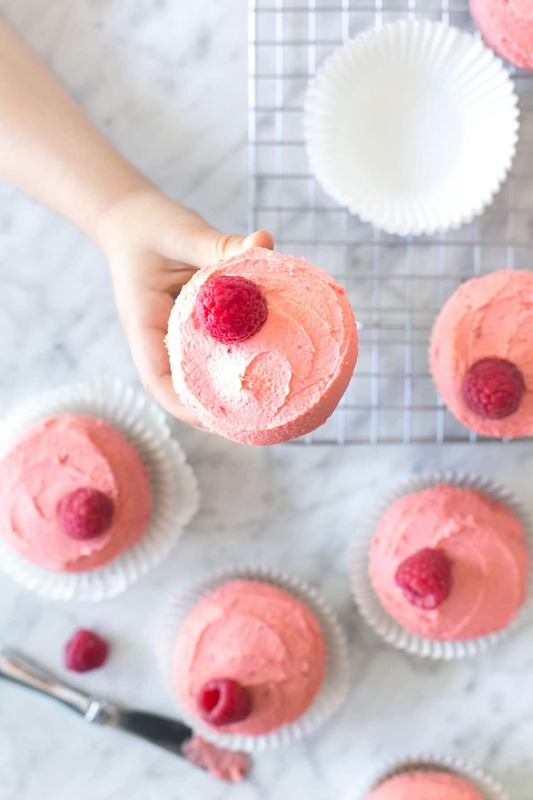 It only took a few simple swaps to make these cupcakes completely dairy free. First, I swapped the butter out for vegetable shortening. I used non-hydrogenated shortening, but you can use any vegetable shortening you have on hand, or even coconut oil if you soften it a bit. See more about how I substitute butter here. Then I chose to use fall-fat coconut milk instead of whole milk, because I think the fat content is more comparable than using nut milk or refrigerated coconut milk. You could potentially use any plant-based milk here though. 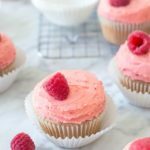 Note: If you’re not eating dairy free and just want to make raspberry cupcakes, you can use the same amount of whole milk and/or butter. I know I’ve mentioned it before, but I’m not a big fan of making “fancy” cupcakes. 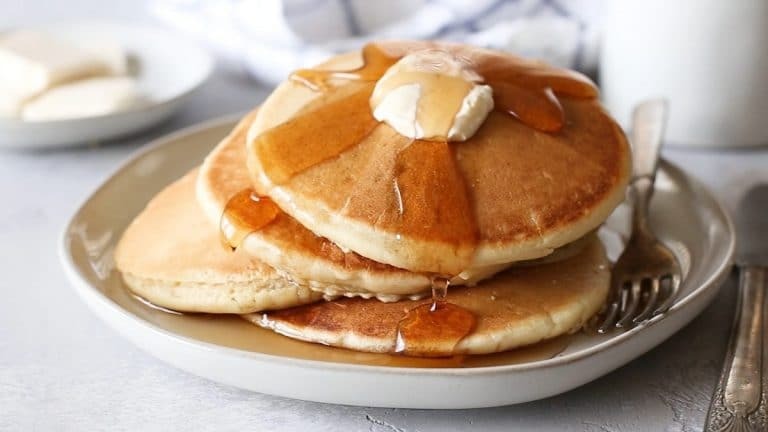 Even though I love the way they look, I’d rather save my time and just put my frosting on with a spatula. I added fresh raspberries for garnish (off center for fear of them looking too much like a certain female body part), and I called it a day. We even ended up bringing them to my niece’s birthday party so there would be a dairy free option along with her Frozen cake. And, what kid doesn’t want two birthday cakes? I think these might be my favorite dairy free cupcake yet, but I am still a super fan of these chocolate espresso ones. Preheat oven to 350˚F and line a muffin tin with cupcake liners. In a small bowl, whisk the raspberry puree, coconut milk, and vanilla extract together. In a separate bowl, whisk the flour, baking powder and salt together. Cream the shortening and sugar in a large bowl with an electric mixer at a medium speed until light and fluffy, about 2 minutes. Add egg and egg whites, one at a time. Continue to beat at a medium speed until incorporated. Reduce speed to low and alternate adding half of the coconut milk and flour mixtures until incorporated. Divide batter between cupcakes liners and bake until 22 – 25 minutes, or until an inserted toothpick comes out clean. Allow cupcakes to cool before frosting. Combine the raspberry puree, shortening, and vanilla extract in a large bowl. Beat with an electric mixer until, adding 1/2 cup of powdered sugar at a time until desired consistency is reached. 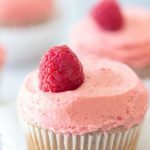 If you’re not eating dairy free and just want to make raspberry cupcakes, you can use the same amount of whole milk and/or butter. 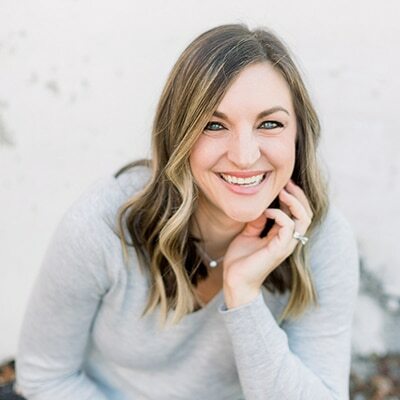 Hello Melissa, such a nice blog! These raspberry looks so beautiful and I like your recipe. I will try it once. Thanks for sharing.